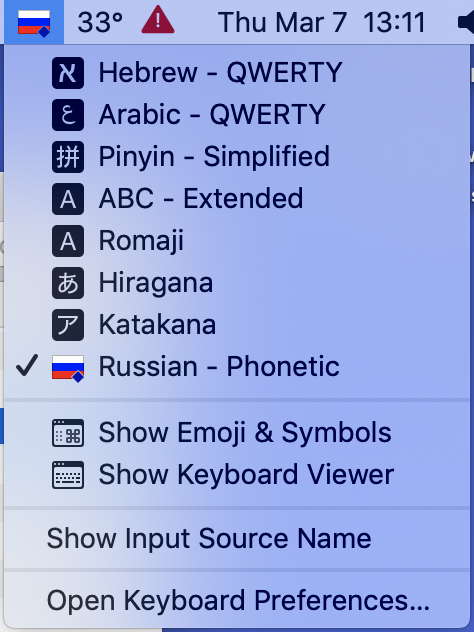 You can type in a language that uses a different writing system (or “script”) from yours without having a keyboard designed for that language. The language you write in can also be different from the language used in your menus and dialogs. 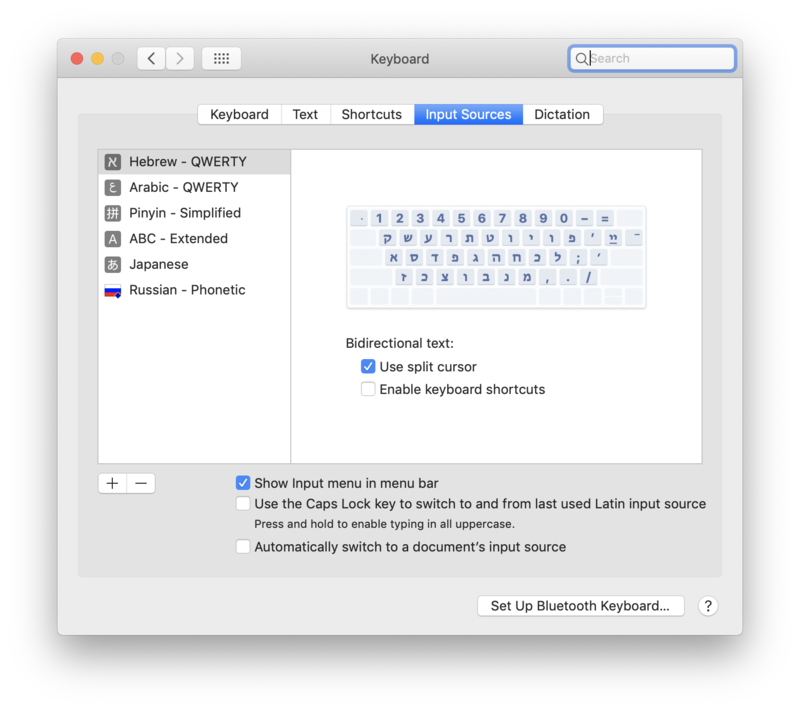 These instructions will guide you through keyboard setups for users running Mac OS X 10.9.x. 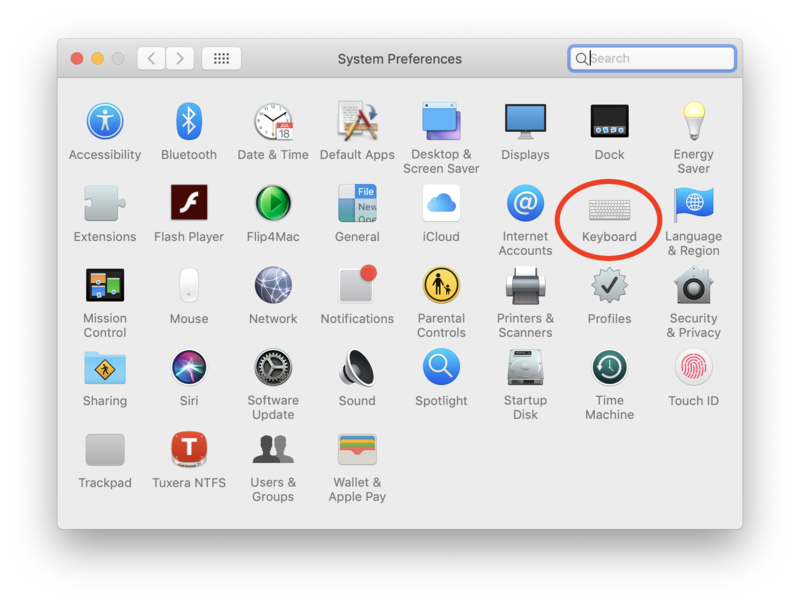 Choose Apple menu, System Preferences, and the Keyboard Preference Pane. Select the Input Sources button. To add a new keyboard, click the "+" button in the lower-left-hand corner of the preference pane. 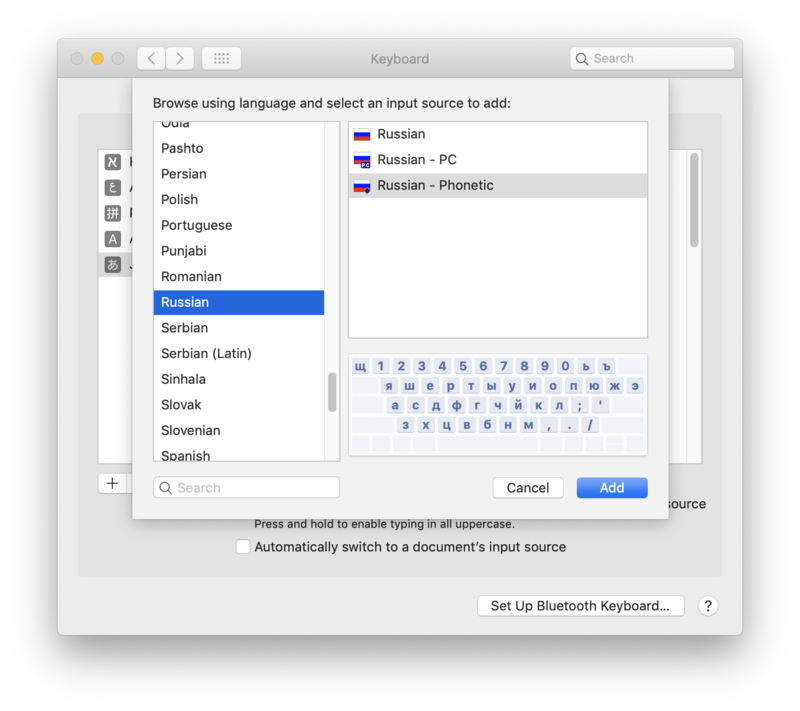 Scroll in the left-hand pane to choose your language, and select the keyboard layout of that language that you wish to use. Click the Add button to add your language and preferred keyboard layout. Continue adding languages and keyboard layouts as needed. When you are finished, select the “Show input menu in menu bar” checkbox. Close out the system preferences to finish. Choose the input source for that language from the Input menu (looks like a flag or character) in the menu bar. When you choose an input source that doesn’t match the keyboard you have, the keys you see (and press) on your keyboard may be different from the characters that are displayed when you type. To see what keys to press to produce different characters, you can use the Keyboard Viewer.